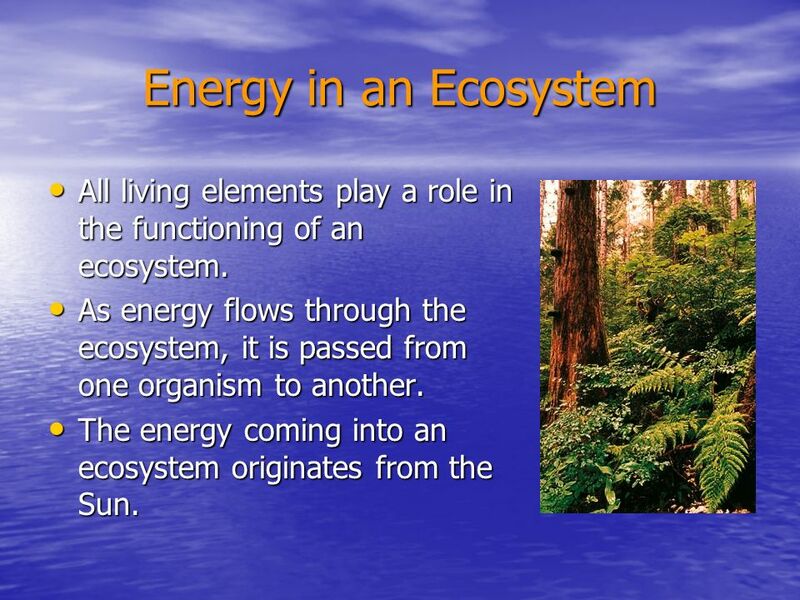 3 Energy in an Ecosystem All living elements play a role in the functioning of an ecosystem. 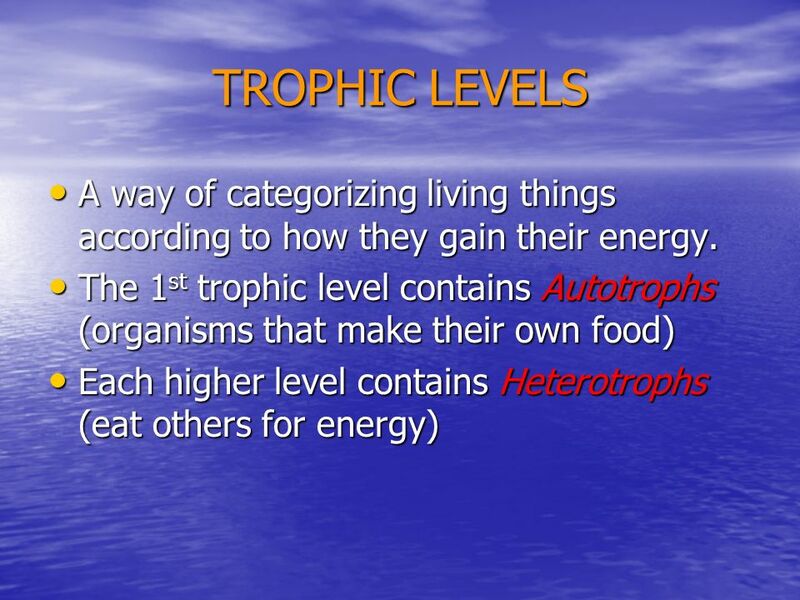 As energy flows through the ecosystem, it is passed from one organism to another. 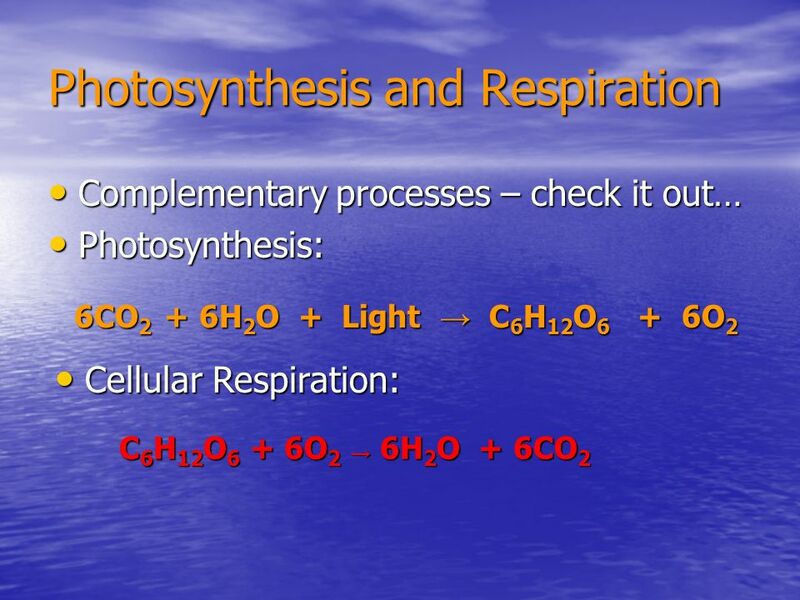 The energy coming into an ecosystem originates from the Sun. 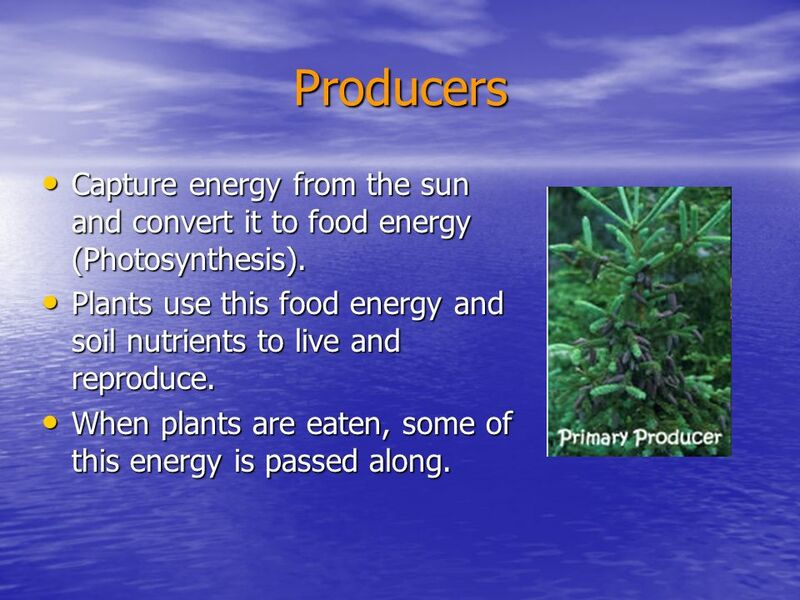 5 Producers Capture energy from the sun and convert it to food energy (Photosynthesis). 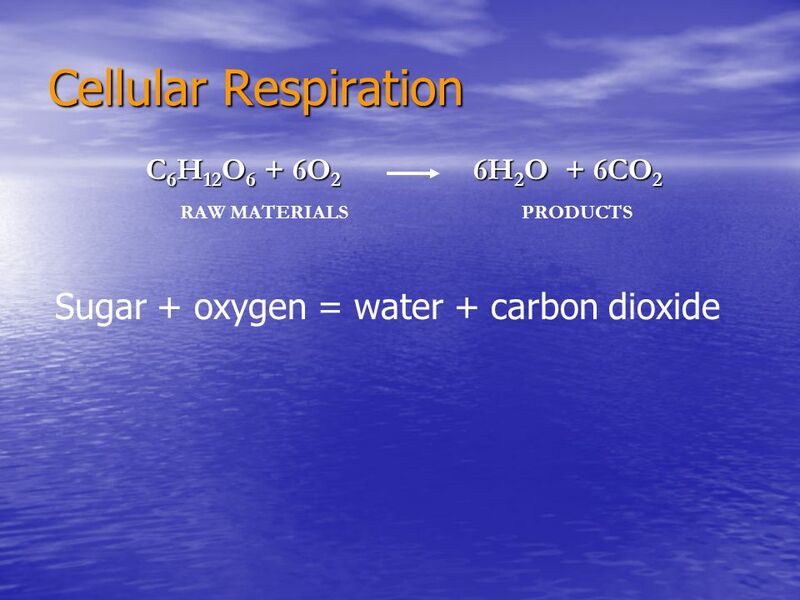 Plants use this food energy and soil nutrients to live and reproduce. 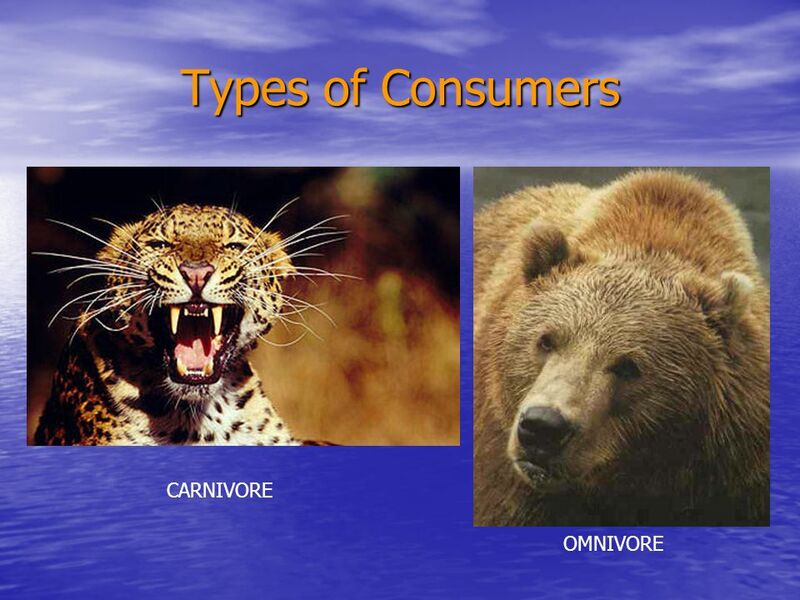 When plants are eaten, some of this energy is passed along. 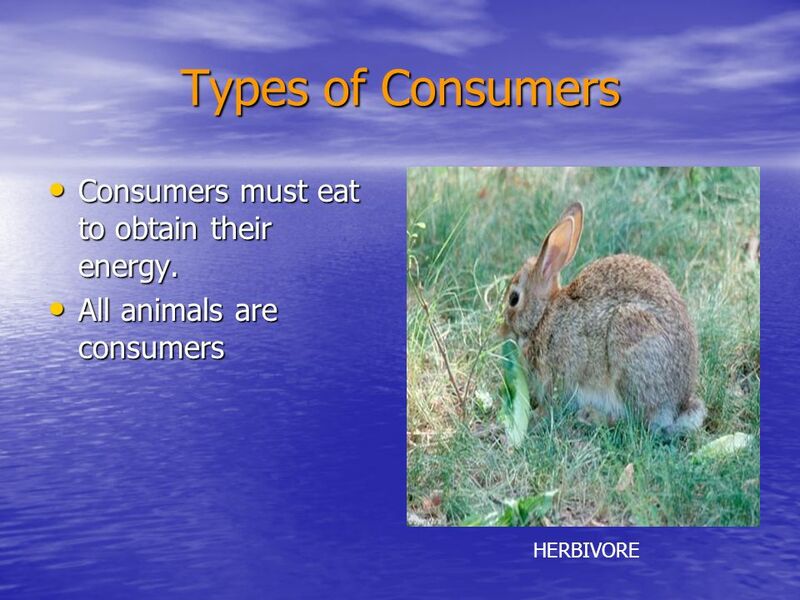 6 Types of Consumers Consumers must eat to obtain their energy. 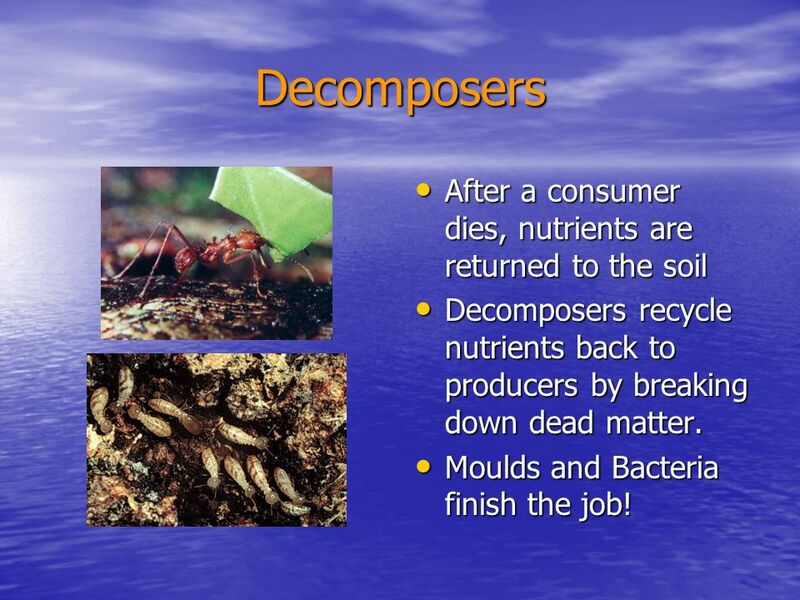 Decomposers recycle nutrients back to producers by breaking down dead matter. Moulds and Bacteria finish the job! 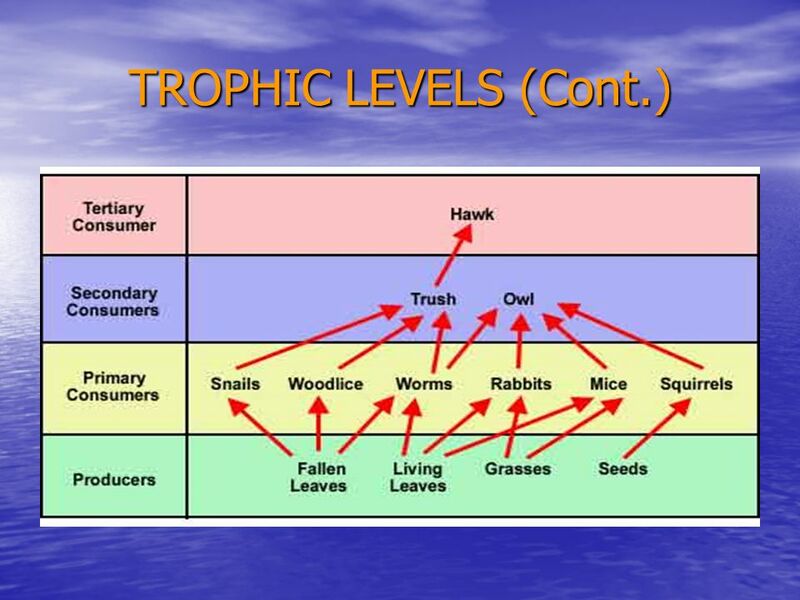 12 FOOD CHAIN A connection of organisms showing the transfer of energy from one organism to the next. 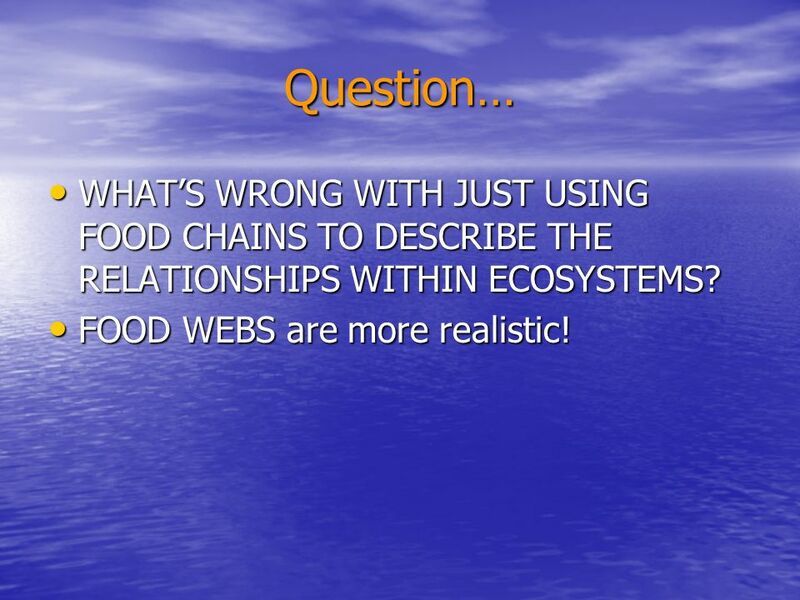 13 Question… WHAT’S WRONG WITH JUST USING FOOD CHAINS TO DESCRIBE THE RELATIONSHIPS WITHIN ECOSYSTEMS? 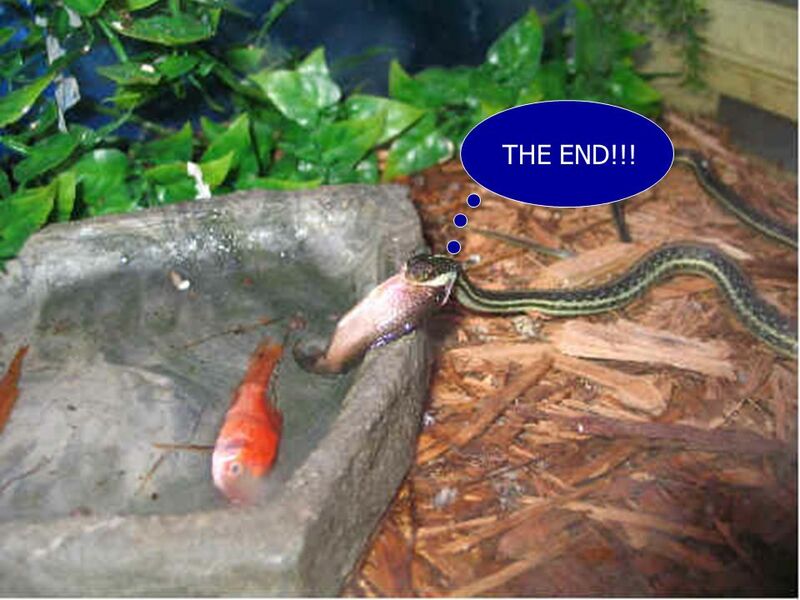 FOOD WEBS are more realistic! 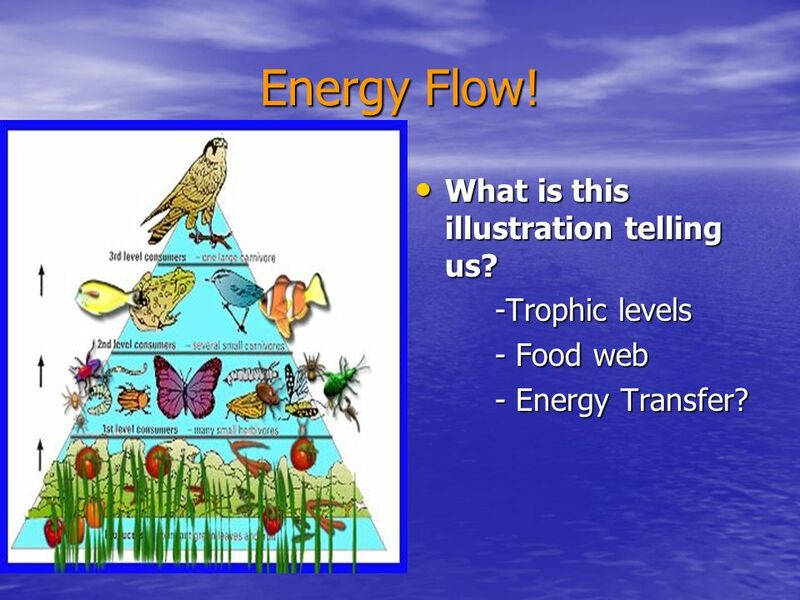 - Food web - Energy Transfer? 19 Not all of the Sun’s energy is captured. 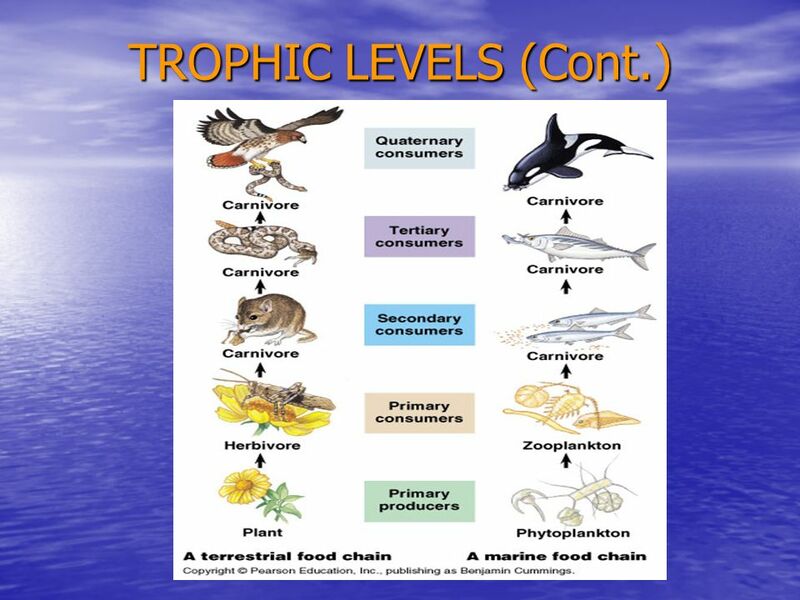 As you go along up the trophic levels, energy is lost. 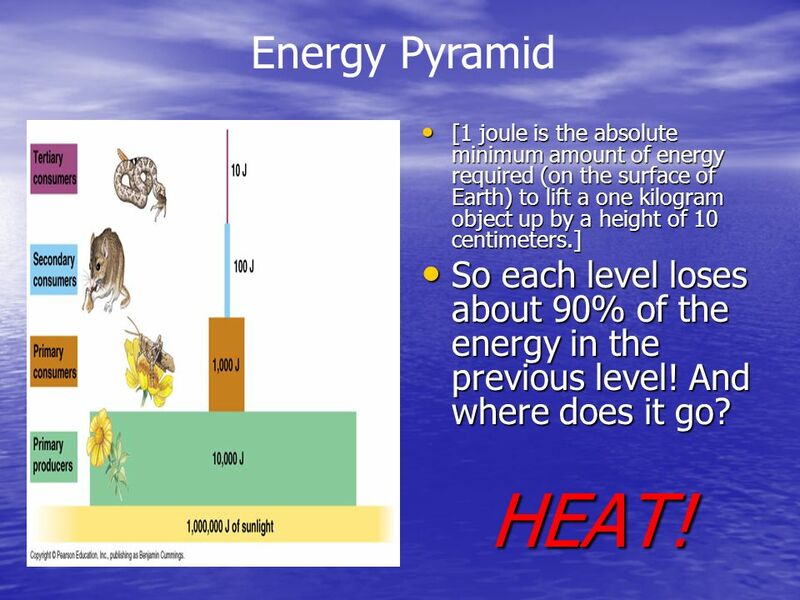 20 Energy Pyramid [1 joule is the absolute minimum amount of energy required (on the surface of Earth) to lift a one kilogram object up by a height of 10 centimeters.] 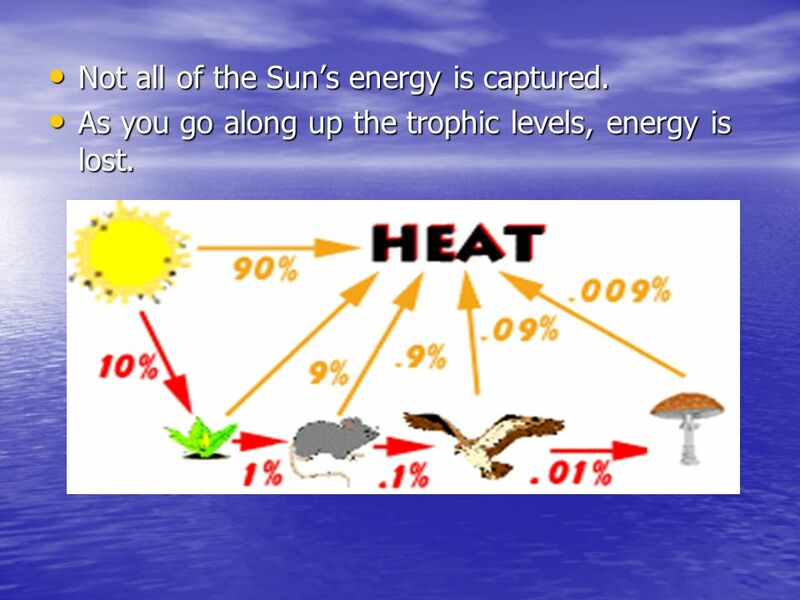 So each level loses about 90% of the energy in the previous level! And where does it go? HEAT! 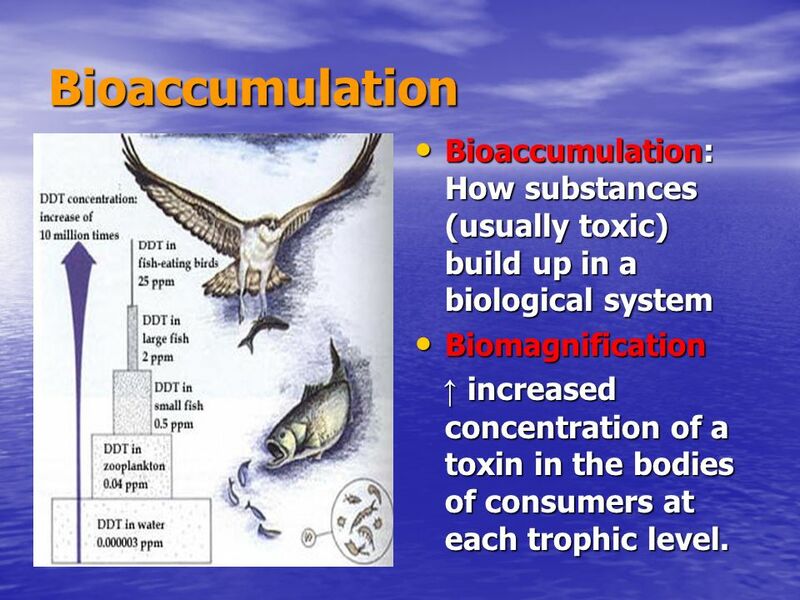 23 Bioaccumulation Bioaccumulation: How substances (usually toxic) build up in a biological system Biomagnification ↑ increased concentration of a toxin in the bodies of consumers at each trophic level. 25 Here is another look. 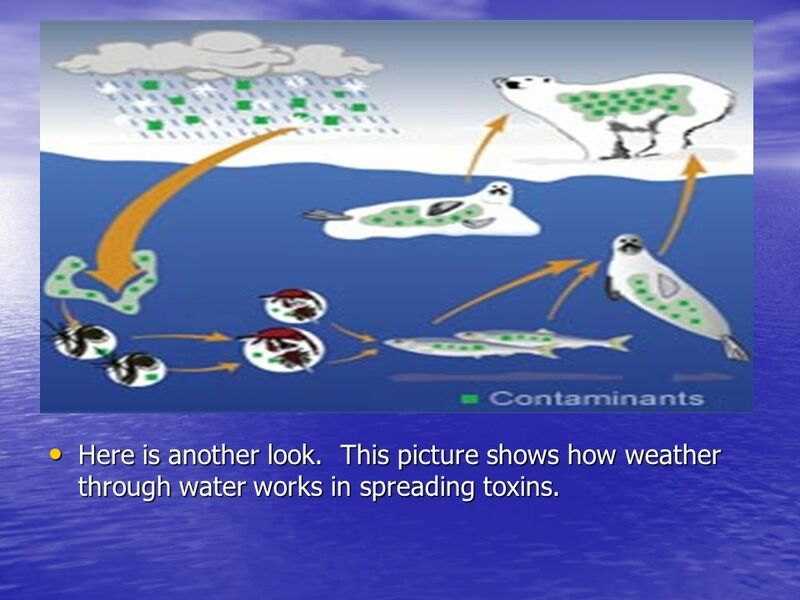 This picture shows how weather through water works in spreading toxins. 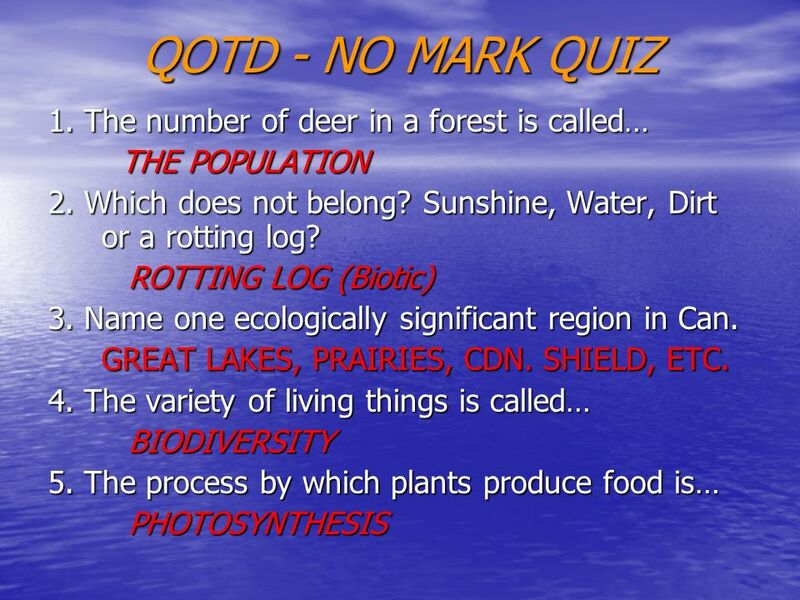 Download ppt "QOTD - NO MARK QUIZ 1. 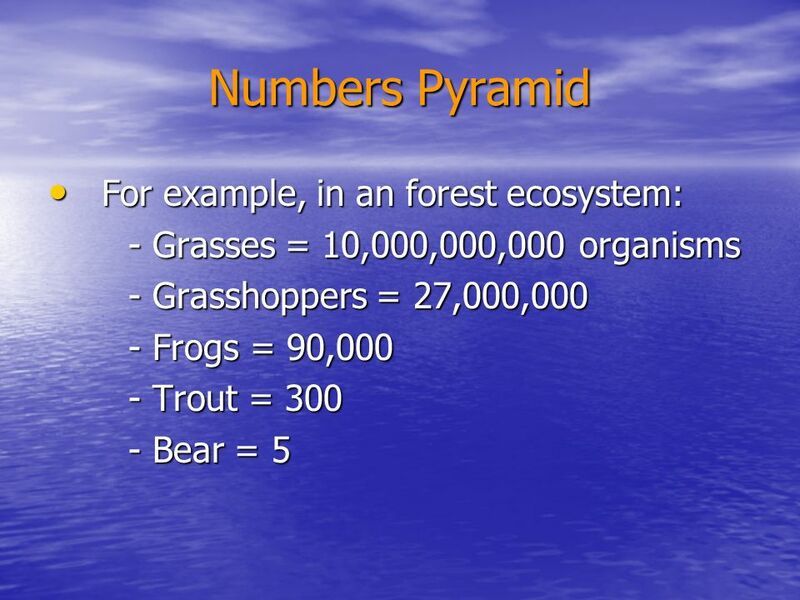 The number of deer in a forest is called…"
Energy Flow 3-2 Biology Flora. 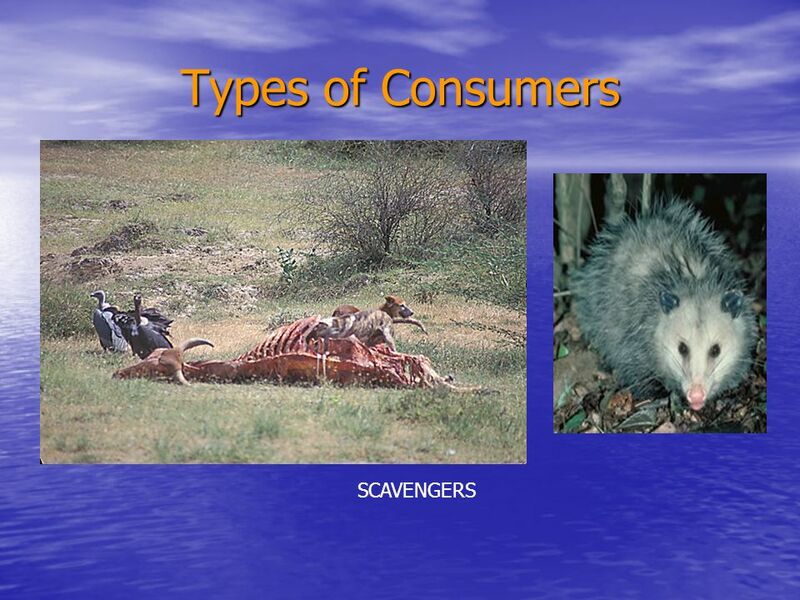 Energy in Ecosystems MRS. PITTALUGA 8 TH GRADE SCIENCE. 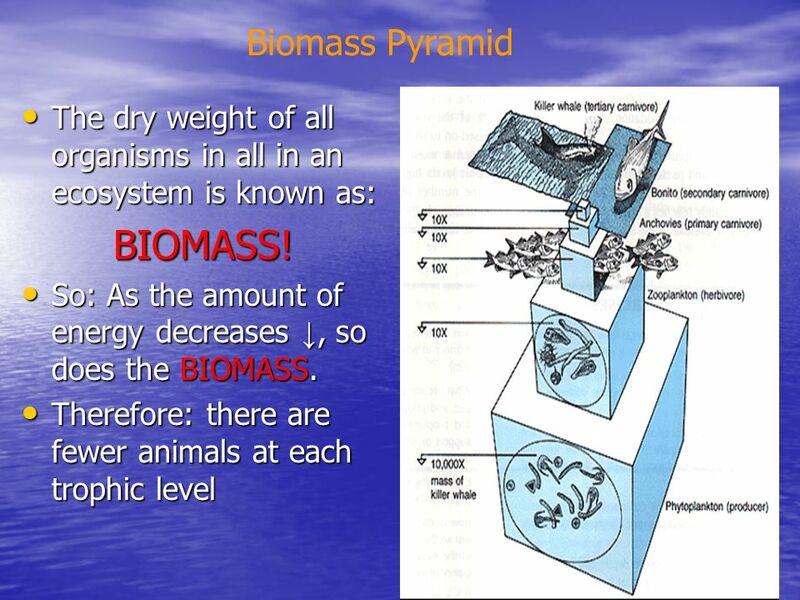 Ecology Continued Introducing … Energy Flow! 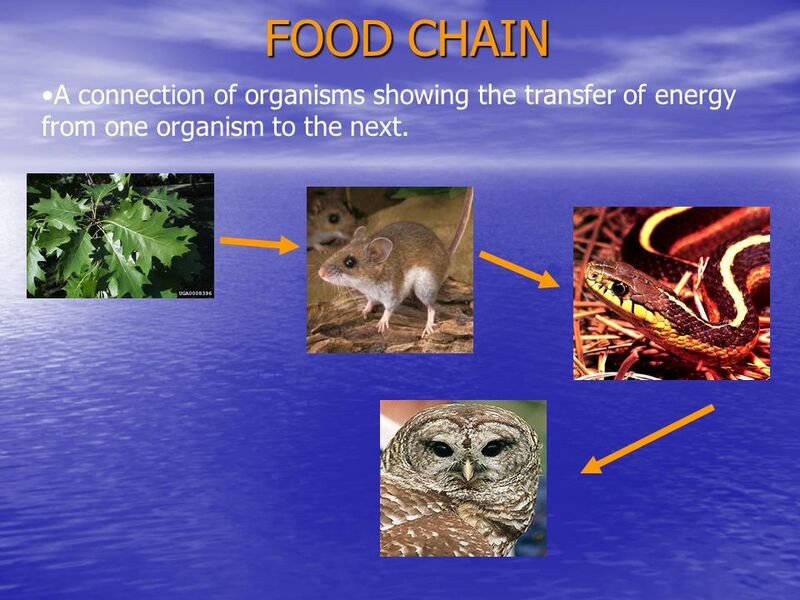 FOOD CHAINS & WEBS Introduction to ENERGY FLOW. 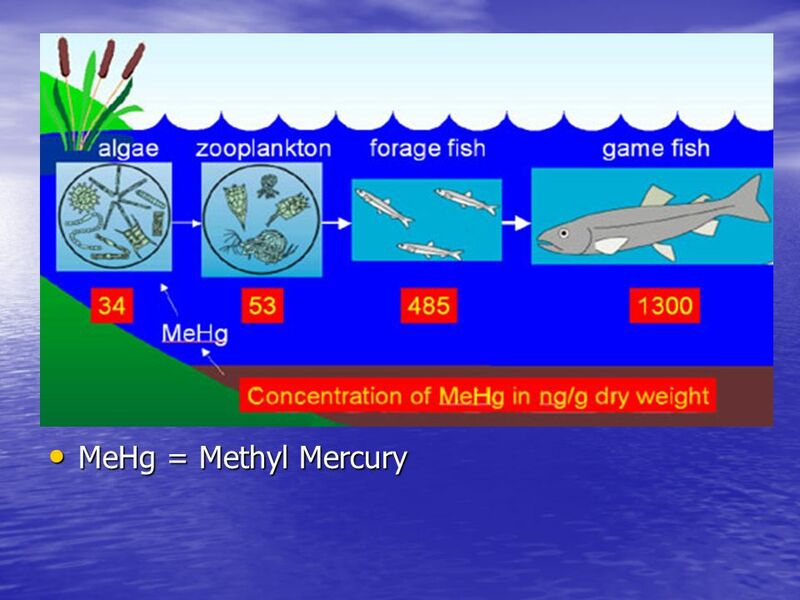 What is the main source of energy in all ecosystems? The Sun! POWER FOR LIFE’S PROCESSES Energy Flow. 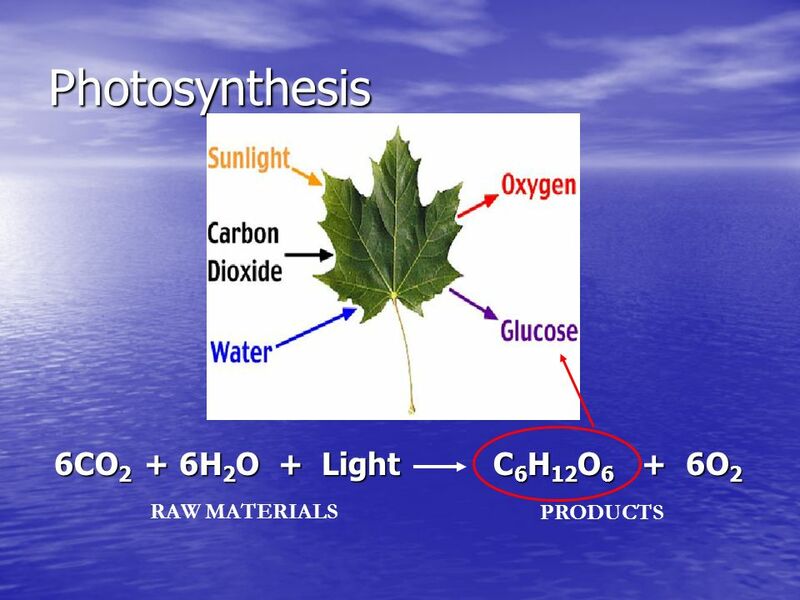 Producers Sunlight is the primary source of energy source for life on earth. Plants, algae, and some bacteria. 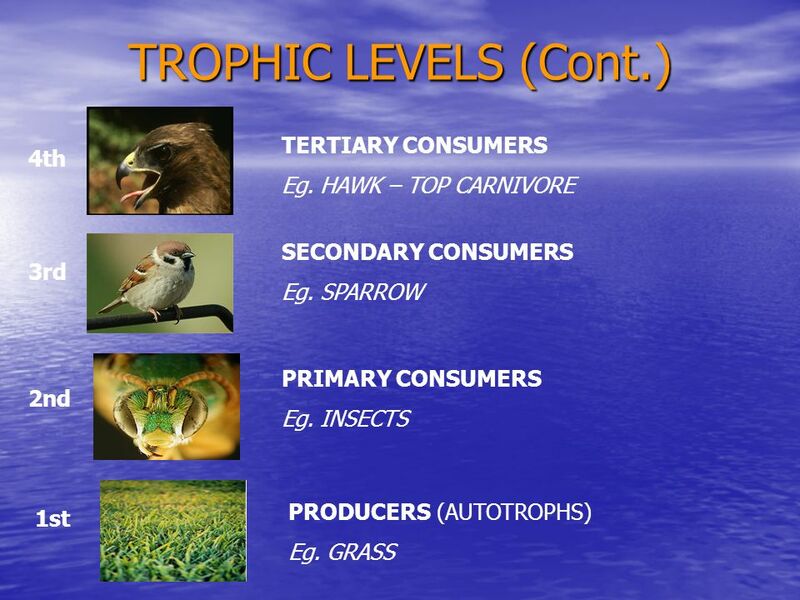 Ecology the study of living things and their environment. 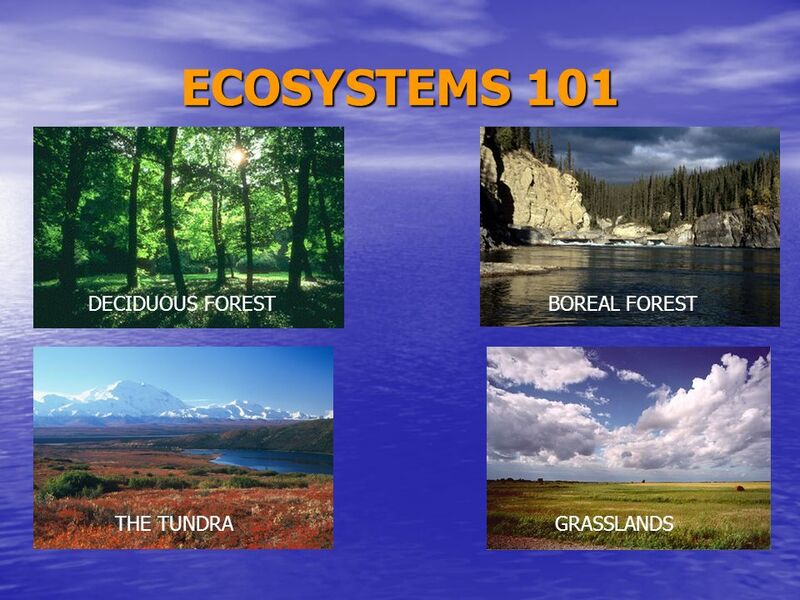 Ecology: The Study of Ecosystems. Organization of Life AKA Biological Organization.